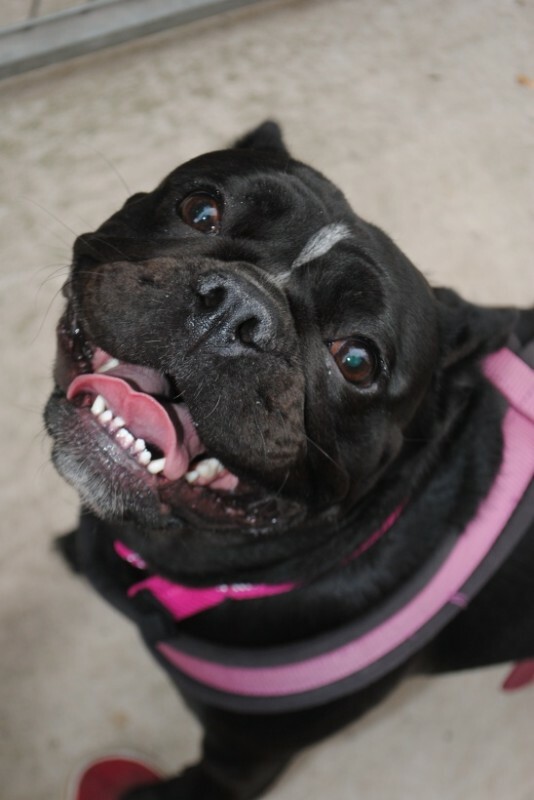 Narla the fab 2 yr old Pug cross British Bulldog is now ready to find her dream forever home! She is a super friendly girly, and full of character! Narla can be bouncy and jump up, so needs a home with children over 10. We are looking for an active home for Narla as she loves her walks, she also needs a secure decent sized garden to play with her toys in! Narla is fully housetrained and OK to be left for a few hours at a time. She is fine with other dogs out and about, but may be happiest living as the only dog so that she can be centre of attention! She will make her new family very lucky, she’s a cracker!